Saying that the valuation profession – and, indeed, the real estate industry as whole – has withstood a seismic shift over the last several years would be stating the obvious. When the behemoth that is the U.S. housing market collapsed, new rules and regulations were put in place to prop it up again … and their effects on the valuation profession are still in question. However, rather than take a wait-and-see approach to this new phase, the Appraisal Institute is proactively looking at the valuation profession and examining the challenges and opportunities of the future. The decreasing number of appraisers is a major challenge for the long-term health of the valuation profession. The number has steadily declined; as of June 30, 2015, there were approximately 78,800 real estate appraisers currently practicing (not retired) in the U.S., down from 98,450 in 2007, or a cumulative decline of 20 percent. It’s anticipated that over the next five to 10 years, the number of U.S. appraisers will decrease sharply with retirements playing a major role. The reasons for fewer people in the profession are complex, and involve demographics, the recession, changes in appraisers’ business models, clients using alternative valuation products, and new complex regulations that discourage new entrants into the field. An Appraisal Institute survey determined that the average U.S. valuation professional is a white male between the ages of 51 to 65, with 11 percent age 66 and over. Women comprise 26 percent of the field. As experienced appraisers retire, it is essential to attract new people to replace them in order for the profession to thrive. However, statistics indicate that fewer early- and mid-career aged professionals are now active appraisers. The Appraisal Institute survey shows that 12 percent of U.S. appraisers are ages 36 to 50, with one percent age 25 or less. Starting in 2015, a bachelor’s degree is the minimum education requirement to become an appraiser. Currently, 58 percent of appraisers hold bachelor’s degrees. Approximately 19 percent of appraisers with active licenses have master’s degrees. But for some, the cost of the degrees and all the additional education that it takes to become an appraiser isn’t justified by the profession’s financial return. Forty-one percent of appraisers earn annual incomes of $50,000 to $99,000, and another 20 percent earn less than $50,000 per year. Appraiser incomes and their business models have been affected by the process of commoditization. Commoditization is the process by which goods and services that have economic value and are distinguishable in terms of attributes (uniqueness or brand) end up becoming simple commodities in the eyes of the market or consumers. The key effect of commoditization is that the pricing power of the business owner is weakened: when products become more similar from the buyers’ points of view, they will tend to buy the cheapest. This has clearly happened in the residential mortgage lending appraisal space. Although appraisers understand that the quality of analysis can differ, appraisals prepared on forms generally look alike to buyers of the product. Even the words and codes are now uniform, adding to the process of commoditization. Appraisers working in the highly-regulated mortgage lending environment must consider how to adapt their business models to the effects of commoditization. While the declining number of appraisers continues to be a challenge for the valuation profession, so too is the current regulatory environment. In 1990, five regulatory agencies issued a final rule implementing FIRREA, which included a provision requiring appraiser independence. By 1994, the Interagency Appraisal and Evaluation Guidelines stated the lending institutions could expect bank examinations. However, federal banking regulatory agencies cut staff, reducing supervision of these functions. Lending institutions folded appraisal functions into their loan departments, leaving mortgage brokers in control of order processing. 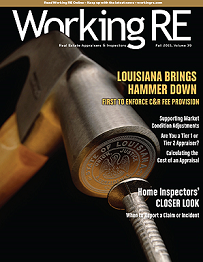 The ASC provides federal oversight of state appraiser regulatory programs. States have been issuing licenses to appraisers for 20 years; by contrast, mortgage originators have had licensing for about half a decade. The Appraisal Institute has expressed concerns with the government-sponsored enterprises that Collateral Underwriter ratings could become a set of rules used by lenders. This was true for the Selling Guide in the past, but it should not happen to CU. Fannie Mae has learned a great deal over the last number of years and it is emphasizing appraisals in a positive manner. However, an ongoing concern is the continued allowances for the staffs of untrained loan sellers to review appraisals. The Dodd-Frank Wall Street Reform and Consumer Protection Act, passed by Congress in 2010, has released a tidal wave of change on the valuation profession. Many of these changes impact smaller, niche areas such as higher-risk loans and manufactured housing. Others, however, are much more significant, affecting the Real Estate Settlement Procedures Act, Equal Credit Opportunity Act, Customary and Reasonable Fees and appraiser independence. The profession is still seeing a shake-out and we expect more to come, particularly concerning demographics. When appraisers think about changes to the valuation profession, they needn’t look further than big data and technology to see just how rapidly things evolve and how crucial it is to remain up-to-date on current best practices. The history of the valuation profession can be broken down into four categories, all measured on how data is used. The Data Rummage Era, which spanned the 1920s–1970s, focused on data collection, with appraisers “owning” the data. The Market Analysis Era (1980s–1990s), brought in the availability of data in competitive market segments, and the use of three to six comps. The Data Discarding Era (1990s–2000s) provided large electronic data sets. Along with useful information, there was also miss-used data and “junk” science. Using three to six comps remained the norm. Finally, the Data Optimization Era (2010s–present) focuses on optimal sets of large datasets, and the analysis of all the data– not just sampling. Appraisers used to focus on the collection and verification of data; those who were the best at this were often well rewarded. But today data is widely available, so appraisers must focus on the analysis of that data to bring value to their services. While automated valuation models are unlikely to completely replace a human appraiser, they will nevertheless continue to evolve into an alternate form of valuation that competes with traditional appraisal services. Appraisers will increasingly be expected now and into the future to adopt big data analytical techniques into their product. As key participants in residential and commercial real estate transactions, appraisers have been subject to certain negative feedback. However, as always, the role of the appraiser is simply to provide a credible opinion of value as an independent, third-party expert. Who among us has not heard one of these complaints? While some of these complaints are unfounded, the Appraisal Institute hears the concerns and is responding by further developing its body of knowledge. Is an appraisal that only provides an estimate of value on one date still adequate for today’s needs, or has it become stale and limited in its usefulness? The Appraisal Institute’s “Guide Note 12: Analyzing Market Trends” addresses to what extent appraisers are responsible for recognizing changes in market conditions, and what steps appraisers must take to ensure due diligence is done regarding the analysis of market trends. The Guide Note states, “Analyzing current and anticipated market conditions is more complicated – and more critical – when a market is rapidly changing, either upward or downward.” Adequate market analysis must be completed before highest and best use analysis, and the determination of highest and best use is critical to an appraisal assignment when market value is the objective, according to the Guide Note. Signs of a changing market are symptoms, as opposed to causes, according to the Guide Note. An appraiser observes the symptoms, but must understand the underlying cause or causes in order to properly analyze market trends. For appraisers and market participants, a “bust” market is usually relatively obvious. However, it can be difficult to spot a “bubble” market when in the midst of one. Further, it can be difficult to tell when a bust market has started to turn and improve, or when a bubble market has begun to decline. • The principle of change. In the world of rapidly changing technology, adaptability is a key to viability. Clinging to obsolete business models can spell doom to companies and entire industries. Kodak was sunk by the “creative destruction” of the digital camera. However, Apple rose on the wave of change and evolved from the maker of small personal computers to the iPod and ultimately to mobile devices like the iPhone. Changes in demographics, regulations and technology all present challenges to the valuation profession. However, an improving housing market and increasing business and growth opportunities have appraisers feeling optimistic about their futures and that of the profession. The Appraisal Institute is dedicated to assisting appraisers in adapting to these changes, and to the future viability of the valuation profession. Lance Coyle, MAI, SRA, of Dallas, is the 2015 president of the Appraisal Institute, a global professional association of real estate appraisers, with nearly 21,000 professionals in almost 60 countries throughout the world. He has been involved in the real estate appraisal profession for 30 years. He is principal of Coyle Realty Advisors, a Dallas-based real estate services firm engaged in fee-based investment property valuation, analysis, research, expert witness testimony and counseling. He currently concentrates on providing support in real estate litigation cases, and has been a guest lecturer and author for several eminent domain conferences. As soon as amazon has drones dropping off packages, lenders will have their own drones doing the inspections of the properties, that will be the disrupter for the end of appraising as we have known it. Well written and articulated article. Regardless of visionary strategies or adaptations, it is an absolute given that new appraisal practitioners will NEVER be enticed to enter a field where (1) Fees are controlled/dictated by outside forces, (2) Fees are not only meager, but insulting to practitioners, (3) Regulatory oversight is oriented to placating politicians by implementing confusing, contradictory, oppressive and burdensome guidelines and requirements, (4) Escalating phony stipulations to delusional aims and goals, (5) Imposing increasing educational requirements on potential entrants to the profession without relief in areas of monopoly revenue constraints and proper, similar experience and education standards on institutional personnel assigned to oversee, review and evaluate appraisals. Currently, the GSE’s are simply continuing to engage in what they have been doings since 1987. That is, issuing nonsensical tripe that purports to reform, correct and guide the process but too often does nothing more than add to paperwork, expenses and costs to practitioners, and does next to nothing in enhancing clarity of the appraisal assignment. Superficial nonsense being reviewed and evaluated by inept institutional personnel? Yeah, good luck adding clarity and confidence to the system when the requirements are being read, misinterpreted and misunderstood by folks who have no business being involved in the process. More burdens and expense with no equitable remuneration to what is being required as the grand outcome for the practitioner? More entrants into the profession? Yeah, good luck with getting more new, future entrants into appraising, going forward. Oh, the irony. How many AI members have been the leaders working on these various automated valuation models? And frankly, I’m happy that there are fewer and fewer competitors out there as time goes on. The appraisal business has been oversupplied for far too many years and I’m looking forward to a shortage of appraisers. Of course, that threatens the existence of these membership groups, but that’s not my concern anymore than the AI has only concerned itself with its survival. What idiot would ever think of entering this profession? Increasing educational requirements is just the beginning. Increasing costs, fear of being sued by someone who is unhappy with value, risk of being hauled up by one of the multiple regulatory agencies or GSEs for making an honest mistake or not aligning with “peers”. AMCs asserting that “reasonable and customary” fees are less than my firm was collecting 15 years ago – and by the time I try to acknowledge the mass email that they sent out, the job has been taken by someone else stupid enough to work for the peanuts they hand out. IF you can find someone to hire you. Competition from national firms and AMCs that have access to marketing tools that the small operator can only dream of. Appraiser independence in the form of inability to ask for business directly, – which, by the way, in any other business would be called restriction of competition. No support – from anyone, including the appraisal associations or the National Association of Realtors, of which you have to be a full paying member in order to have access to MLS (I have NEVER seen the NAR in my area offer any assistance for appraisers). Constantly subjected to derision as if the market crash was all the appraisers’ fault and now values are too high, too low, etc. The stress of working longer hours for less money because of scope creep, increasing regulations, being hounded by AMC know nothing employees, plus the need to include more CYA commentary (see above comment on getting sued). I’m 56 years old and looking for another line of work. Can’t wait to get out of this mess. I have reached out to NAR via the AGA. I heard back from CAR, (lobbyists) but not NAR-YET. I too am a Realtor/Appraiser and I joined to open better lines of communication between NAR Brokers and ALL appraisers. It takes time. We have not always been their favorite profession. Marcella, The American Guild of Appraisers (AGA); The American Society of Appraisers (ASA) and a host of other organizations including CaCAP in California spoke out for appraisers at the TAF meeting when MAI lobbyists purported to speak out for ‘our’ interests over even their own. Marcella, join us (AGA) or your state’s coalition or one of the many other recognized professional peer associations and get more directly involved. The people that ARE doing something, need YOUR help too. Why didn’t the AI stand up to Mr. Cuomo when he drafted HVCC. No, you guys chose to cowtail. I believe even a few helped to write it. This is a thoughtful piece. But, unfortunately, if the elephant is in the room, I must have missed it. The vast majority of mortgage work, which is the bulk of residential appraisal work, is now controlled by AMCs that make more money by paying appraisers less money. Add to that 1) a so-called “quality assurance” schtick that is little more than badgering and 2) the accepted notion that an appraisal is a 10-cent cup of coffee with unlimited re-fills and it is a recipe for a destroyed profession. I’m a old mule that took his lashes w/ the AMCs and would retire to my 8′ travel trailer before going back for more of that abuse. Appraising is largely an industry where only form fillers can survive, where the appraiser’s business model has become “pretend to pay me and I’ll pretend to work”. It is very easy to see why it is a crumbling profession, the politicians got their hands into the pie and have screwed things up as usual. They need to go back and reverse this whole notion of requiring a college degree, there are far better professions out there that pay a lot more money and still haven’t found victim to this silly hype. A college degree does not may one person any better than the next person and to many people, this was just a blur in their life history and can’t get a job in the field they studied for so many years. I have a friend who has 5 degrees, yet, he is still not working. To a majority of the appraisers who are currently holding the “certified” level, how many of them got that just before the college requirement or were grandfathered in? I would estimate that 60-70% of the certified appraisers out there don’t have any college degree but the system has placed them into this higher elite status. There was a lot addressed in this article, but I want to speak only to one point – that of the number of appraisers entering the business. With the increasing requirements of a university degree, people entering the profession are opting for the general route as opposed to residential. What I see happening is that there will be an oversupply of CG appraisers, who will then feel the same commoditization that residential appraisers have experienced. If the idea is to lower the requirement of education, then it should not just be for residential but commercial as well. I firmly believe that residential appraising is even more important than commercial appraisal, and needs to be elevated in status, not continually diminished. It is more important because it affects more people than does commercial, and the gravity of our work is felt at a more visceral level from homeowners than from investors. A good residential appraiser needs every bit as many tools at their disposal as does a good commercial appraiser. Residential is not “less” than commercial, it is simply different. The worry about fewer appraisers entering the business is mainly on the residential side, not commercial. I think that many appraiser hopefuls are simply going in the direction of CG because residential work has very much suffered the fate that Mr. Coyle addresses. I suspect with the requirements for a degree, this will continue and eventually commercial appraisal will be over-saturated and follow suit. In order for appraisal to continue to be viable, and to be a profession the way most of us hope it to be, we have to continually improve our skills. We must look to exploring how to do better, more comprehensive work which is credible and meaningful. Education is key and I for one do not believe lessening education requirements is a good idea, but if it is done for one level of licensing it should be done for all. More targeted education related to real-world appraisal is critical, and I hope that educators will start to move away from text-book, and into boots on the ground appraisal work, which puts theory into practice. The education that appraisers need does not relate to biology or physics, but to economics, statistics, law, real estate, and of course appraisal practice. 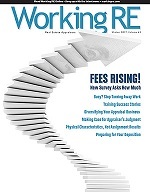 Thank you for writing the article and addressing the issues that are forefront with the appraisal profession at this time. Agree Rachel. Instead of a required 4 year degree in just about any subject, there should be much more intensive appraisal related courses (some along the statistics, etc. you mentioned) but also all other areas that relate to appraising. As it is the current courses required are a good start, but is not sufficient in my opinion. And although apprenticeship can be (and is intended to be) a great learning experience, it many times is not complete depending on the mentor. I certainly don’t know what the answer is. But it does seem that requiring a young person to have a 4 year degree and start out making a very low, below poverty level income for a couple of years or more is not appealing to most. Ms Massey is 99.99% right on the money! NONE of what we do requires a college degree, though it does require extensive education. Education and a college degree are not remotely the same thing in our ‘commoditized’ society. Ms Massey holds a respected residential designation and is a frequent author of thoughtful and informative appraisal posts. She should not be made to feel “less than” in her own organization. Some of the worst residential appraisals I’ve ever reviewed were by my fellow CGs. The agenda of a very, very few is being promoted at the expense of an entire profession. Rachel, you are correct in saying that commercial and residential are “different”. However, as a strictly CG commercial appraiser, I do disagree on the “importance” between residential and commercial. But I only disagree really with how you said it. Both residential and commercial have their place and need in the overall real estate industry. But how many times has a residential appraiser performed a discounted cash flow analysis, created a yield and/or cap rate for a proposed hotel, self-storage facility or an apartment building. A commercial report requires much more in-depth analysis and research. Additionally, the “affect” that commercial has on people is that one or two “bad” commercial loans can be enough to put a bank out of business. But I really don’t think the issue we should argue/discuss among ourselves is which one is more important. Like I said, they both have their place. But what we (the whole profession) need to do is educate people, banks, and anyone else involved in a real estate transaction (commercial or residential), the difference between a GOOD report and a BAD report. Finally, I would suggest that the appraisal industry move in a direction to separate and make a distinction between residential appraisers and commercial. And not just by the letters after their name. Just go through any appraisal article on the internet, and as you’re reading it based on the headline of the story, it’s not until halfway through that you realize the article pertaining to low fees is about residential, or the next one about the future supply of appraisers is about commercial appraisers. I would like there to be a distinct difference noted between the two (and not that one is more qualified or important), but that what applies to residential appraisers doesn’t always apply to commercial and vice-versa. Then, the profession (I’m looking at you appraisal institute), needs to work on educating lending institutions what exactly an appraisal is, what it does, and why its useful to have and not just some governmental requirement. In commercial appraising, if the bank thinks an appraisal is an appraisal, they will almost always go with the lowest bidder, even though they are using the sales of ground leases with a Dollar General store as a comparable to a small retail building that is owner occupied because they already have those comps on file. All the bank knows is that appraiser was the cheapest, and he just valued a 5,000 owner operated metal retail building at $1,100,000 for a fee of $1,200 and it took him all of four days to complete. The banker reading the report is “impressed” with the official looking report cover and how every page contains a black outline and a file number at the bottom of the page. Why? Because our industry profession has not worked on our behalf to educate the readers of these reports. If the bankers truly good understand the difference, higher fees would be supportable by those doing quality work and I firmly believe that banks would pay the higher fee if they truly knew they were getting a rock solid report, whether it’s a residential or commercial report. Like it or not your article only supports what I have held for a number of years, i.e., the appraisal industry (it is no longer a profession) is on its death spiral. As revealed by their actions, lenders (and their AMCs) are working to decimate the industry so that they can show the Government that there are too few appraisers available to value the growing real estate markets. Their only recourse will then be to use “proven” automated valuation software along with large database of property information appraisers dutifully have provided and continue to provide. They will show that the values produced will be “good enough” to support their lending and that the percentage of failures in the system (and their associated financial losses) will be “acceptable.” They will argue that the few remaining appraisers could handle the difficult assignments (not acknowledging that ALL appraisers will be gone). If the Government bulks at not having people inspect properties, the Realtors will be brought into the mix. I’ve been in the industry over 25 years and currently decline about 90% of assignments offered to me, mostly because of low fees, but some of the complex ones I used to enjoy but now have to provide exhaustive comments to “reviewers” following their generic check lists. 1% of appraisers are less than 25 years of age… Most surveys I see show appraisers not recommending the profession to others. 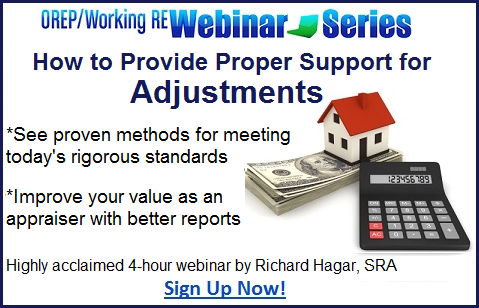 Hours of training (if you can find an appraiser willing to be a mentor); requirements to get your license; education requirement; on going regulations; the ever growing threat of being sued by an unhappy client; increased data required for a report; appraisal fee’s that have not increased in 10 years.. Yes, this profession will see fewer and fewer appraisers. MR. M. Lance Coyle, I cancelled my associate membership ( along with 2 of my peers) with the Appraisal Institute when one of your predecessors stated that only appraisers with an SRA or MAI should be used for appraisals. Why should I be a member of something that doesn’t support me. Between the AI and governing bodies making it nearly impossible to become an appraiser using the cost versus reward equation. This profession has become nothing more than a necessary evil. As soon as the Banks, mortgage companies and GSE’s can find a way to justify not using appraisals, this “profession” will be gone. It seems that everyone is using AVM supported “Desktop” appraisals for credit lines and 2nd mortgages. How long before they use it for 1st mortgages? An appraisal used to average 9 pages. Now the run 42-45 pages and there are still only about 3 pages with pertinent information. I would have to imagine that the AI business model is struggling with the dwindling membership. Revenues are most likely at an all time low. Less than a year to go for early retirement and it can’t get here soon enough. I have been in the appraisal industry for 40-yrs, mentored by an MAI back in the days when joining the elite by earning my RM designation in 1990 (later converted to an SRA) was such an envy to others. So I have witnessed all the regulations put upon us going back to R-41A, B & C, when the use of matched pairs analysis became a requirement. My SRA did attract a diverse clientele, especially to divorce and estate attorneys, but I got damned tired of being on the hot seat as an “expert witness”, with my qualifications and experience being debated by an idiot attorney ; thus I cancelled my AI membership for numerous reasons. For the past 10-yrs I have done nothing but “desk reviews” for FNMA (Subprime issues) and the AMC’s, for QC and risk management. Subsequent to the Subprime fiasco, numerous appraisers and Mortgage brokers who were identified as the EVILDOERS have left the industry, and the AMC’s have now taken their place. 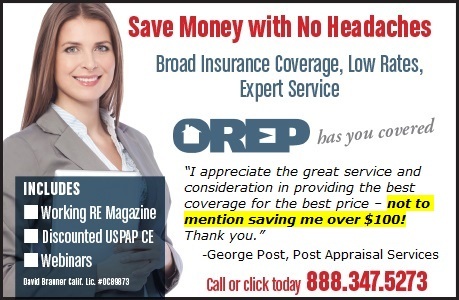 I am fortunate that I have never been a field appraiser accepting low-fee work from some of these AMC’s; however I have to admit that as a private contractor to them, I feel that I am offering a valid and viable service to continue reviewing and monitoring the existing appraisers who choose to remain in this industry. As a desk reviewer (mostly for the state of TX), I can honestly report that the quality of the reports I am seeing are much better than 7-10 yrs ago, mostly due to being completed by experienced appraisers vs. a trainee. Given the required data now expected by most lenders, I would rather be doing the review work vs actually having to be back in the field again. I am also seeing a large percentage of what should be appraisal reports being done by Realtors in the form of BPO’s, which I also have to review, and consider most to be below acceptable standards. In conclusion, the appraisal industry is in trouble once again, and like many others who have voiced their opinions here, I would not recommend entering into this profession, which I have stated to college graduates looking for a new career.